Transitioning to the golden years can be challenging, especially when seniors have to move into a shared space at a retirement center or with family and friends. However, aging in place is an option that makes the transition easier. Here are some of the reasons older adults should consider aging in place. Most seniors prefer being self-sufficient, and they try to hold on to their independence and dignity for as long as possible. When seniors are independent, their health could increase. Older adults who choose to age in place often have to manage daily tasks independently, which boosts their physical and mental wellbeing. Living independently is important for seniors who want to maintain a high quality of life. For some, this simply means receiving help with tasks that have become more challenging to manage over time. Even when families have the best intentions, they may not have the time to provide the care their elderly loved ones need and deserve. If your loved one needs help for a few hours a day or a few days a week, reach out to Home Care Assistance, a trusted provider of respite care Richardson seniors can depend on. Aging in place allows seniors to become more aware of their surroundings, which makes them feel safe and secure and makes it easier to navigate the home on a day-to-day basis. Older adults can also benefit from the sole attention of their caregivers. Receiving high-quality in-home care prevents safety issues such as slips and falls that can lead to head traumas, heart attacks, infections, and broken bones. Older adults who choose to age in place don’t have to share living spaces with other older adults at an assisted living facility. They can roam the house as they would like, without limitations, and they don’t have to worry about unknown people coming in and out of the home. Privacy is important because it makes seniors feel more confident and dignified. Many older adults are choosing to age in place, and some need a helping hand to continue living at home safely and comfortably. Luckily, there is professional elderly care Richardson seniors can trust and rely on. Letting go of a familiar environment can be difficult for seniors. However, aging in place allows older adults to remain in the comfort of home, surrounded by familiarity and certainty. When moving to an assisted living facility, seniors may have to change their daily routine, such as eating in different areas and at different times. These changes in the daily schedule can take a toll on a senior’s comfort level, causing cognitive health to decrease at a faster rate. Staying at home may be cheaper compared to living in a retirement or rehabilitation facility. Seniors can take care of themselves instead of paying for daily care they don’t need. If your loved one has difficulty managing minor tasks, you and your siblings can come over and help with these things. Living close to friends and family members is a priority for many seniors, which is why they prefer to age in place. They can continue taking daily walks with their neighbors, going to the community park with their grandkids, and receiving visits without the regulations of assisted living facilities. Aging in place prevents adults from being separated from their homes, their family members, and the social events they have grown to love. Many seniors prefer aging in place over moving to an assisted living facility. 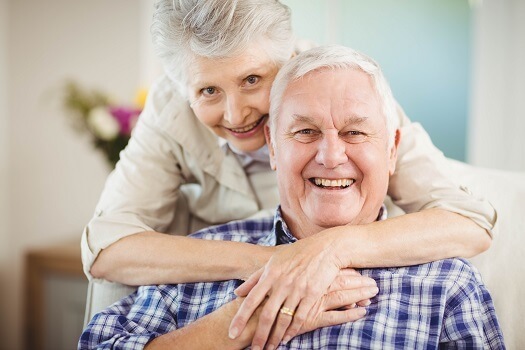 If your senior loved one needs assistance to remain safe and comfortable while living at home, reach out to Home Care Assistance, a leading Richardson home care agency. Our dedicated in-home caregivers can assist with meal prep, bathing and grooming, exercise, medication reminders, and many other important tasks. To create a flexible in-home care plan for your elderly parent, give us a call at (469) 573-4213 today.